It has been three months since I posted a book review on the blog. You're probably wondering, "did she lose her interest in reading"? No, it isn't that - it's just that I read a book that was painfully hard to get through. So much so, that I rejoiced when I finished it. You'll probably find this hard to believe, but the book I was struggling to read was, A Dragonfly in Amber, the second novel in the Outlander Series. If you read my book review on the first novel, you'll know that I was head over heels for Outlander. I thought, by past experience, that I would have the same reaction to all novels in the series. 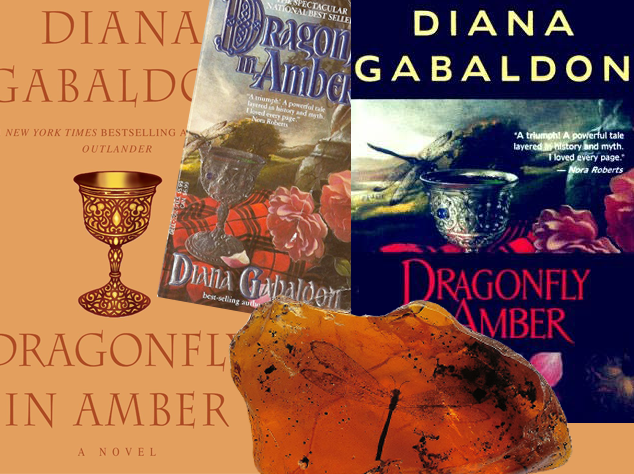 Dragonfly in Amber spans over several different centuries and is a whopping 976 pages. While I was reading this novel on my iPhone I was trying to figure out why my percent read wasn't increasing daily - it turns out it's because the novel is so long. This book really dragged on. It was hard to keep all the characters, time-periods and locations in place. The book hops from Scotland in the 20th century to Paris in the 19th. Not only that, but there seemed to be less romance in this novel. I wanted more of Jamie and Claire and less of Claire without Jamie. All and all it is safe to say I will be taking a prolonged break from the Outlander series. I'm not even sure I will ever read the remaining 6 books. I am now more than halfway through a nicely sized 576 page novel and I am incredibly pleased to see my percent read go up daily.